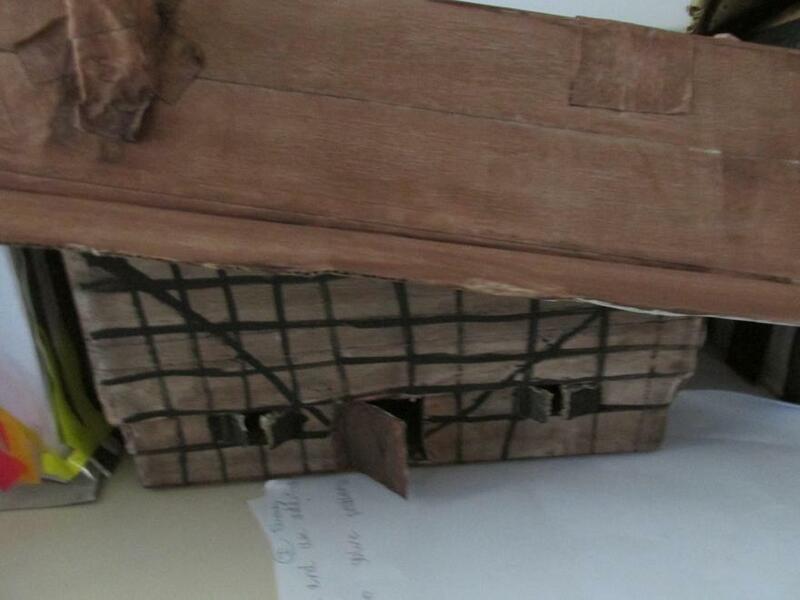 Young Quills is an annual competition that provides young people with a range of historical fiction published in the previous 12 months to review. 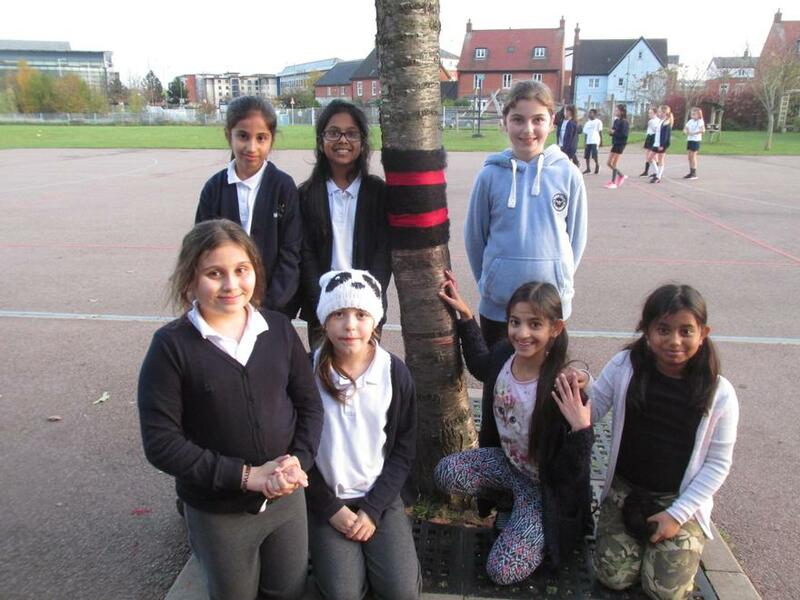 Howe Dell have been fortunate enough to take part this year. 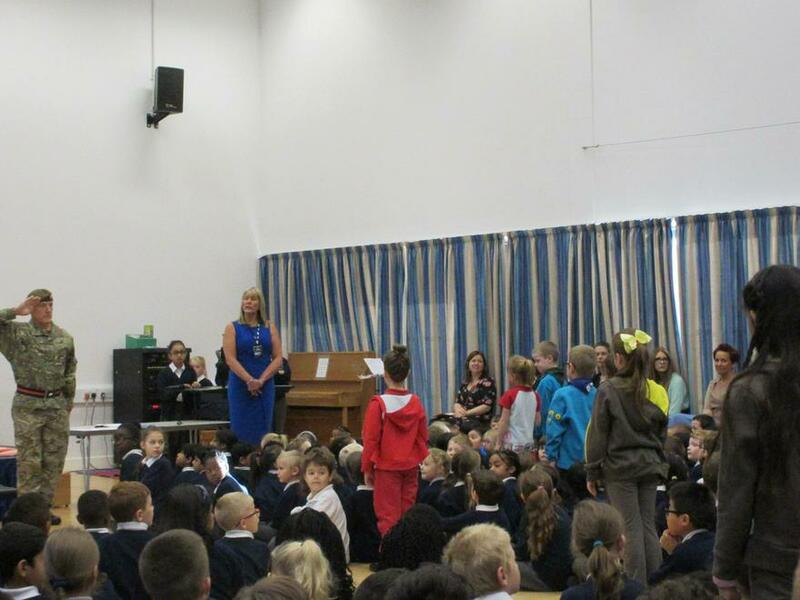 Children from Years 3, 4, 5 and 6 were asked to read a book and then write a book review, which were published online and used to pick winning authors. 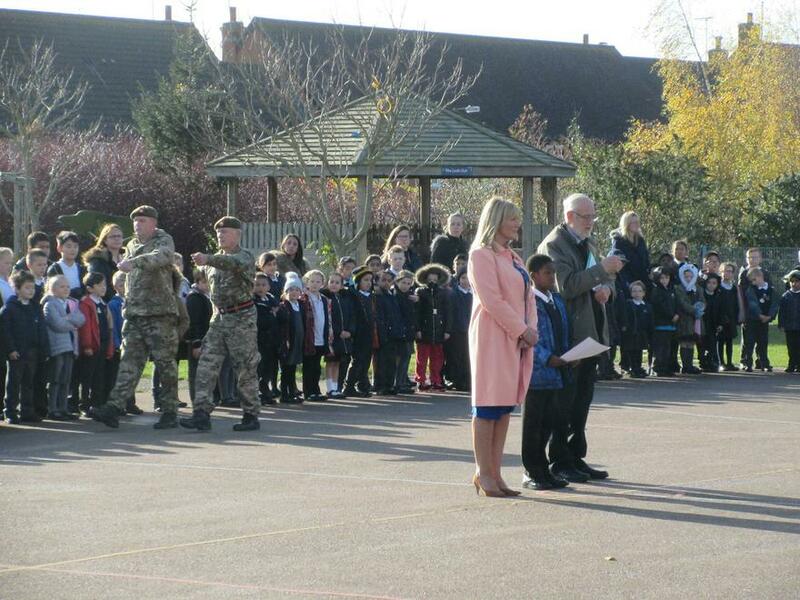 Thank you to all the children that took part in the competition. 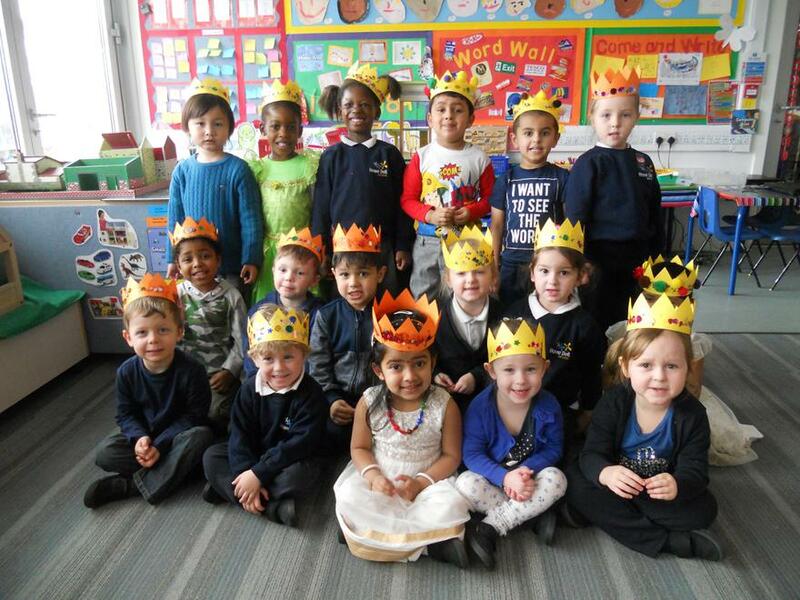 Their amazing reviews can be read at: https://www.history.org.uk/ha-news/categories/455/news/3571/young-quills-awards-2018-the-shortlist. 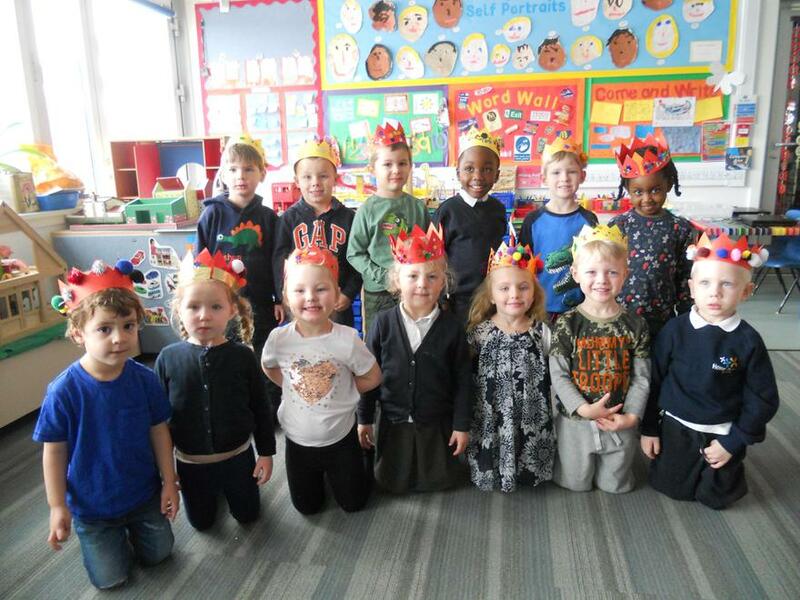 In March 2018, Howe Dell celebrated Commonwealth Day. 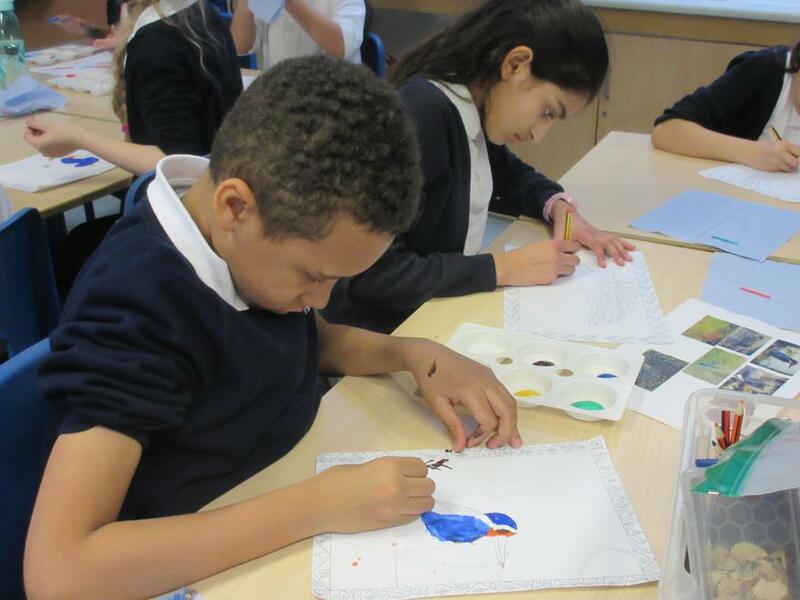 All year groups were given a country to focus on and learn the history of how that country came to belong to the Commonwealth. 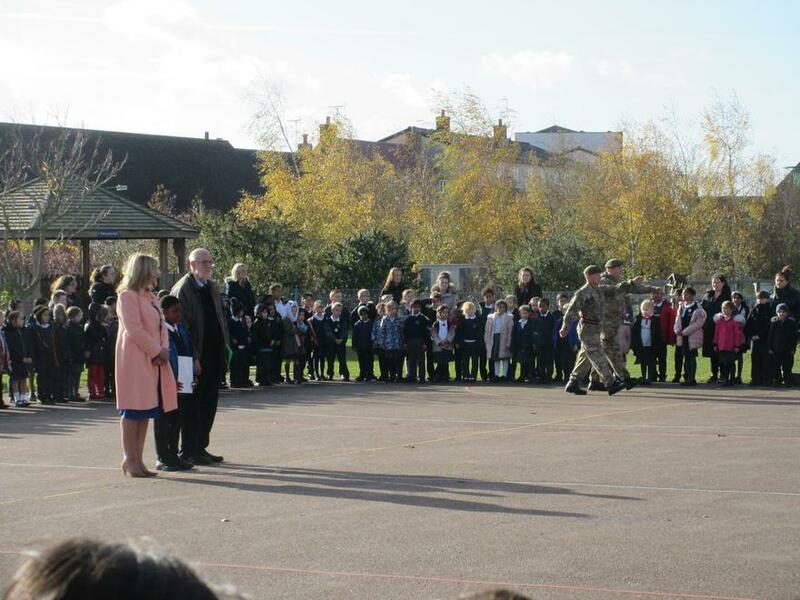 Children also found out what the Commonwealth is and the Queen's role in this. 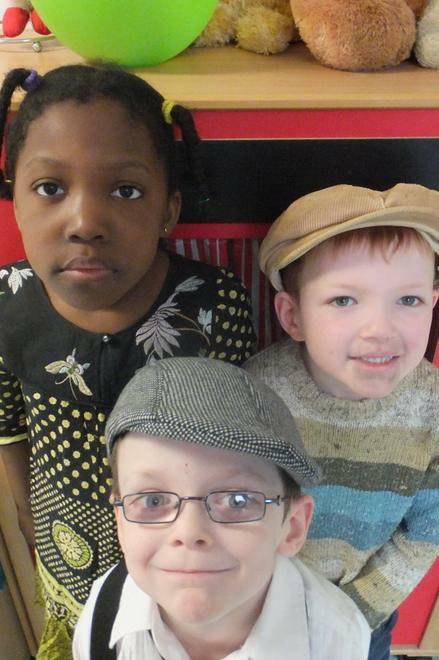 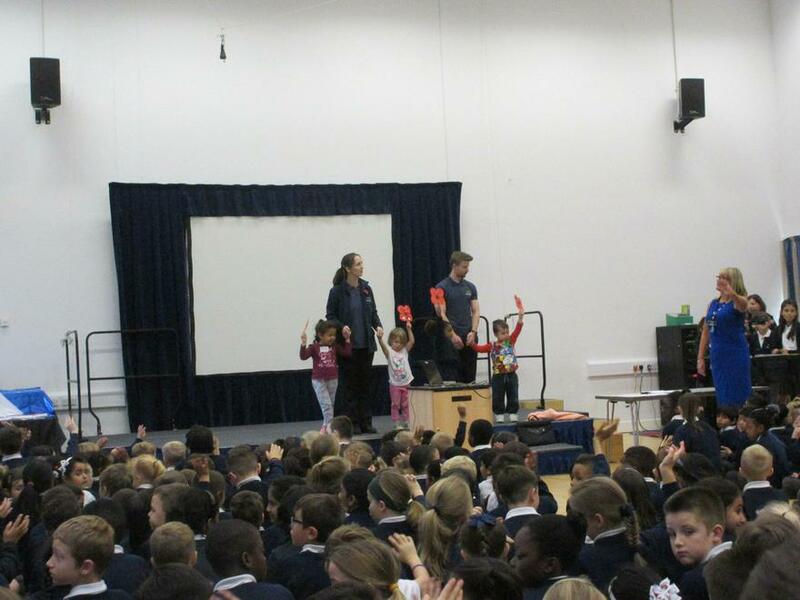 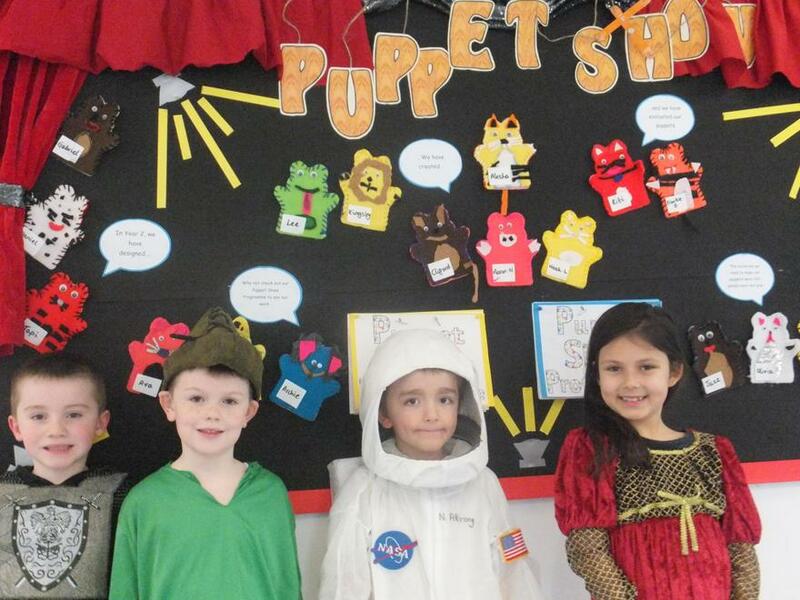 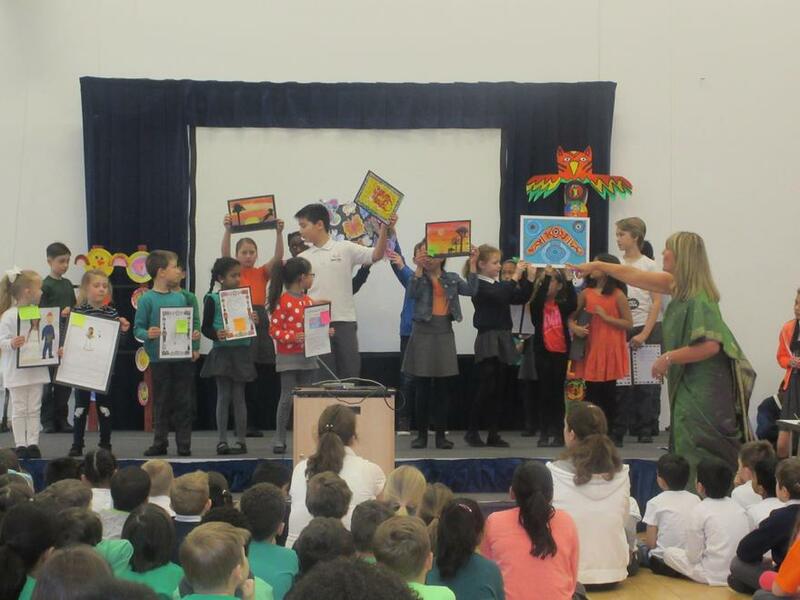 The themed day inspired some fantastic writing and art from the children, who displayed their work in assembly. 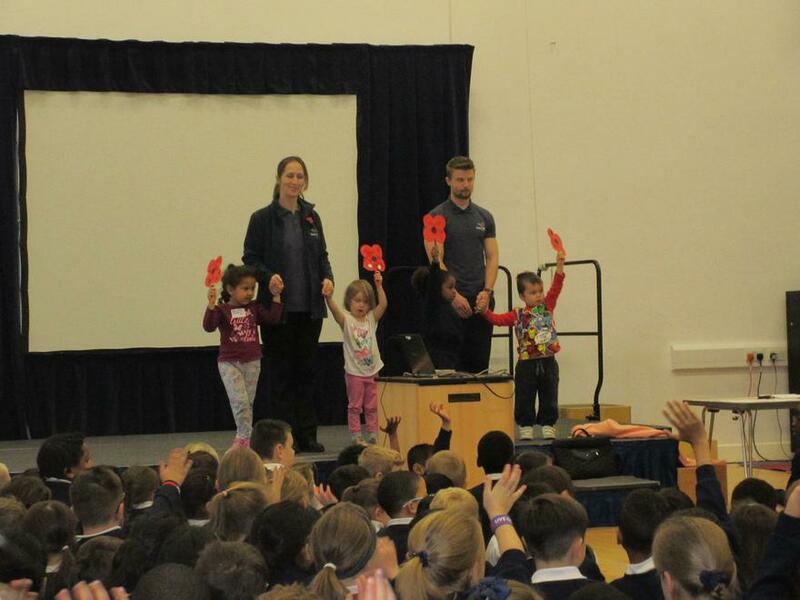 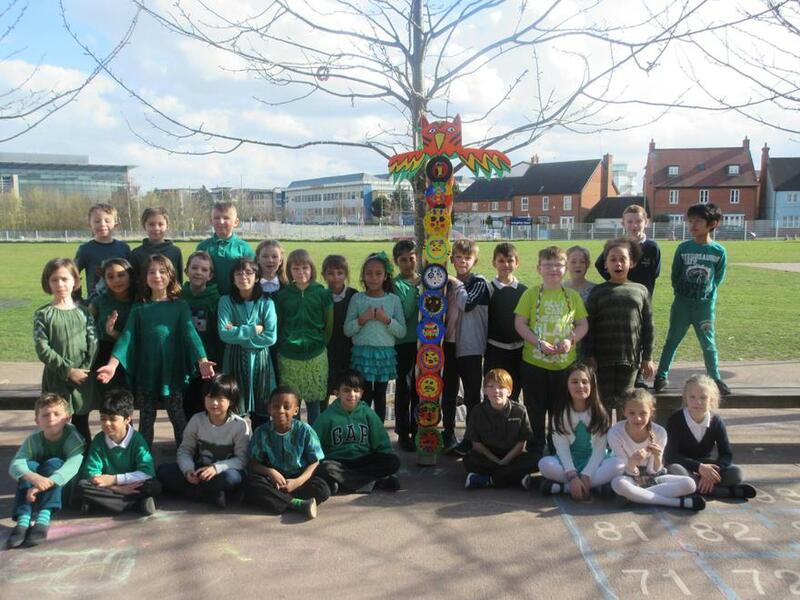 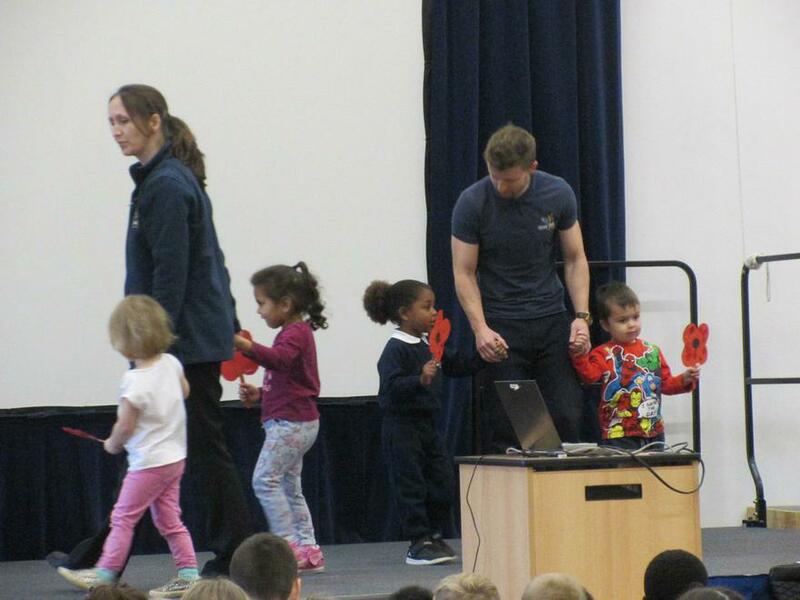 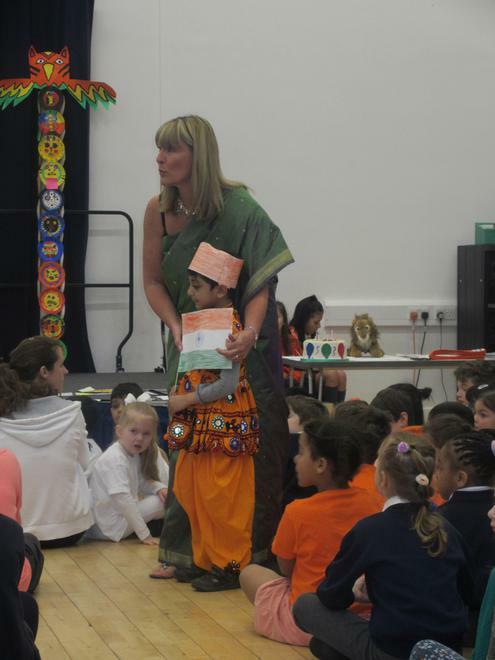 We also dressed up in the colours of the Indian flag to raise money for a child's education that we sponsor in India. 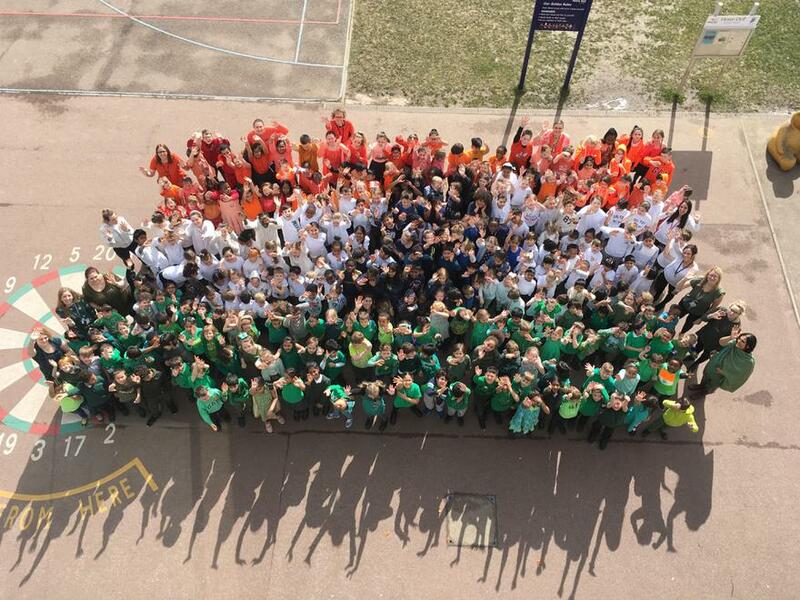 There is a lovely photo of the school arranged as the Indian flag. 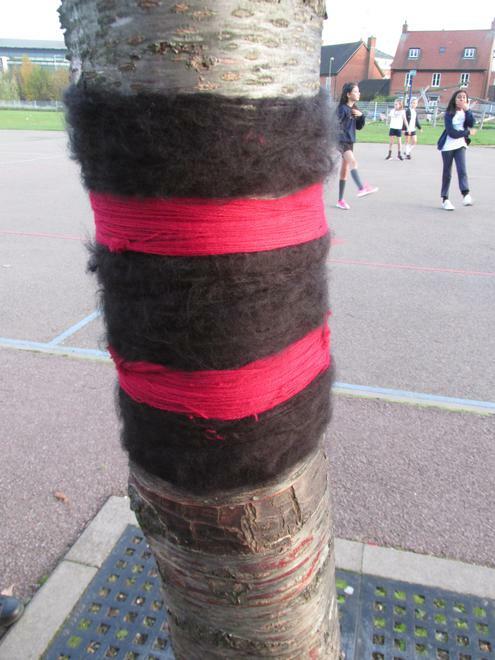 Gardening club marked Remembrance Day by having a go at yarn bombing with the traditional colours of black and red. 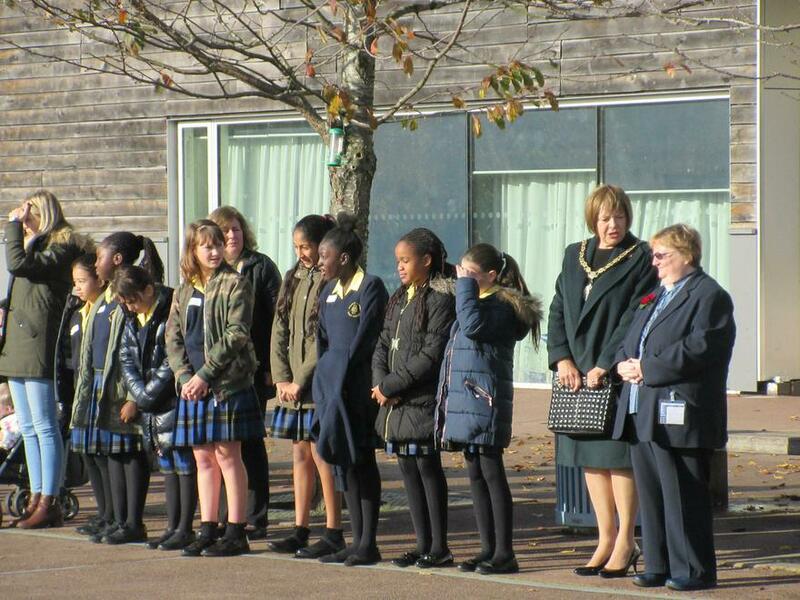 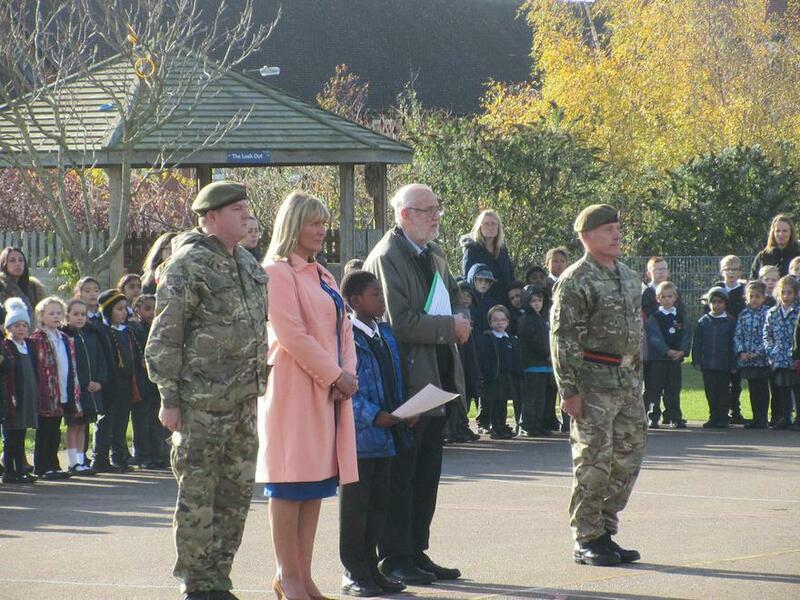 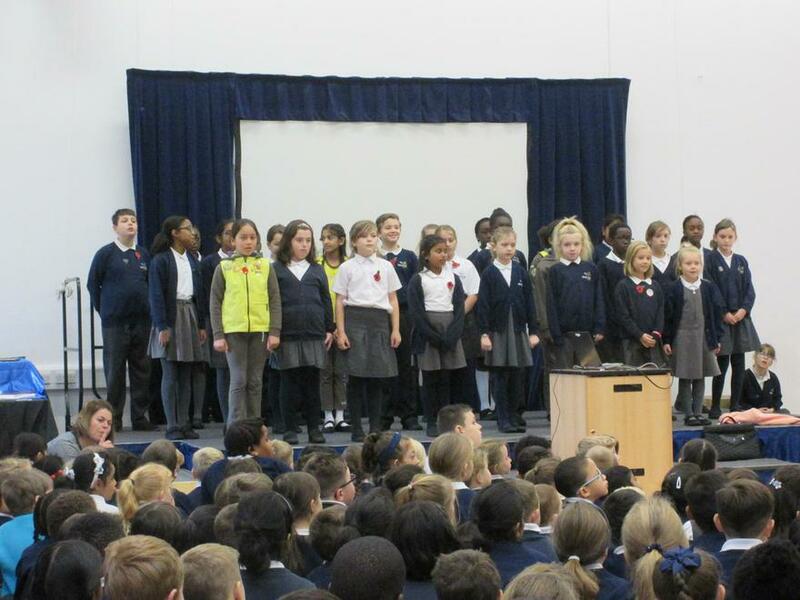 Howe Dell marked Remembrance Day with a traditional service attended by all children and staff. 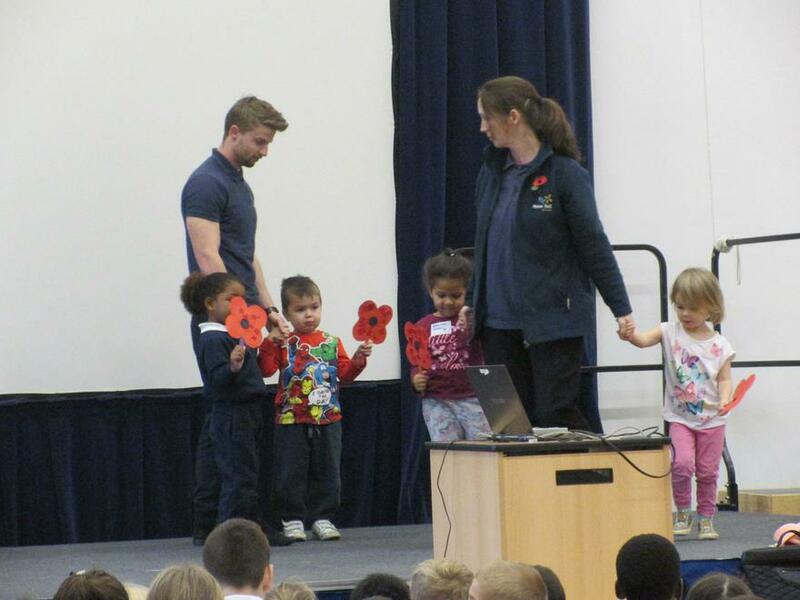 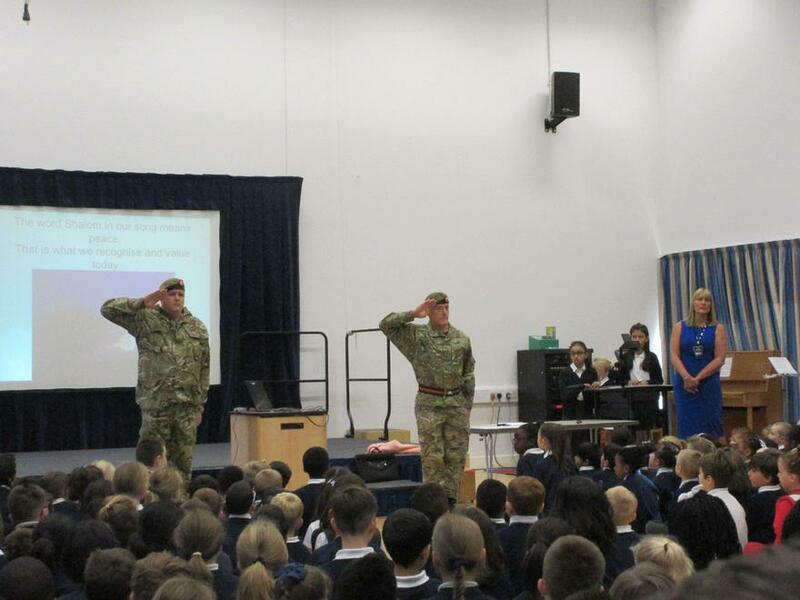 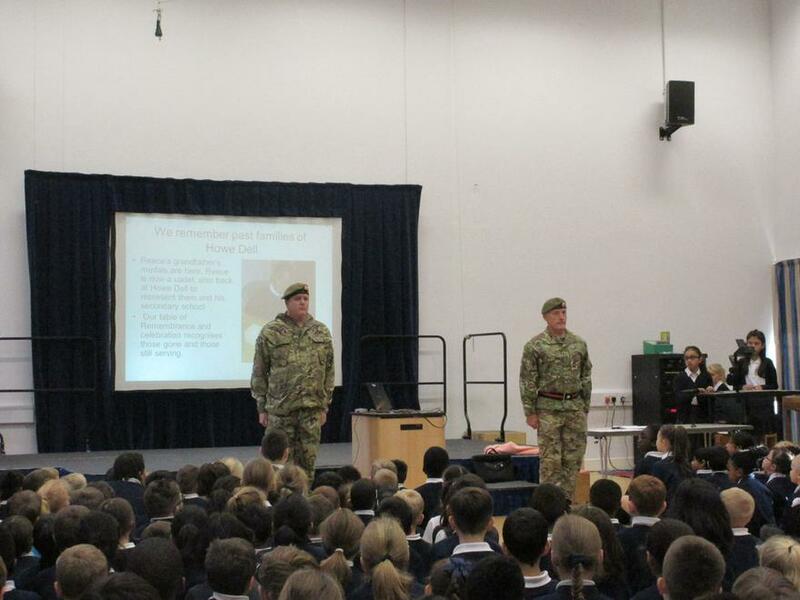 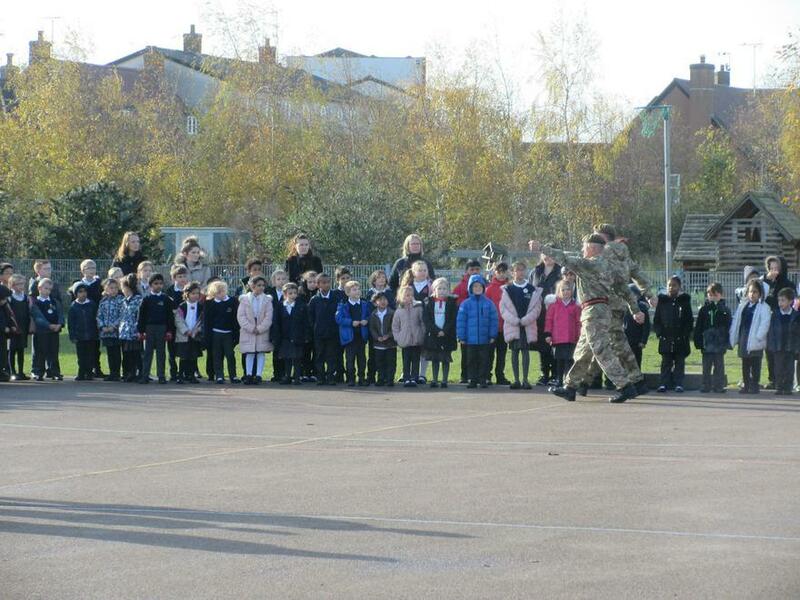 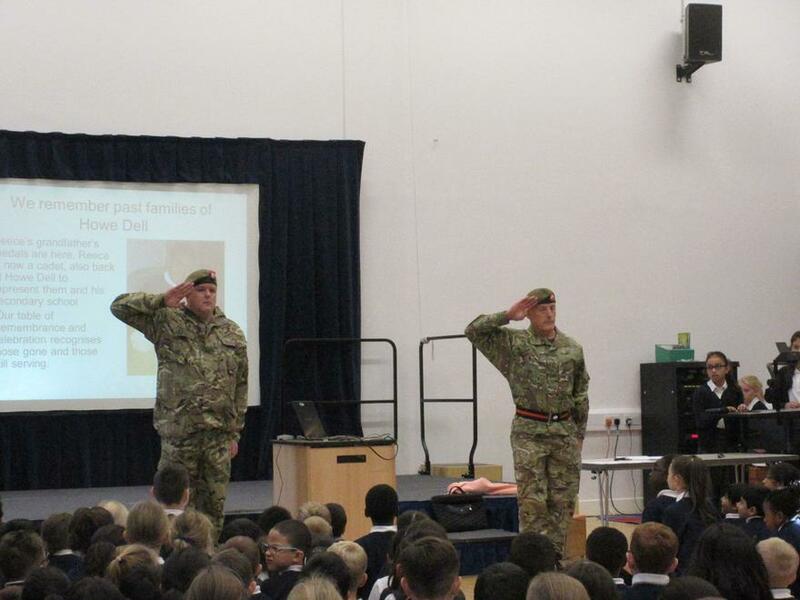 This year we were fortunate enough to be joined by two ex-service personnel. 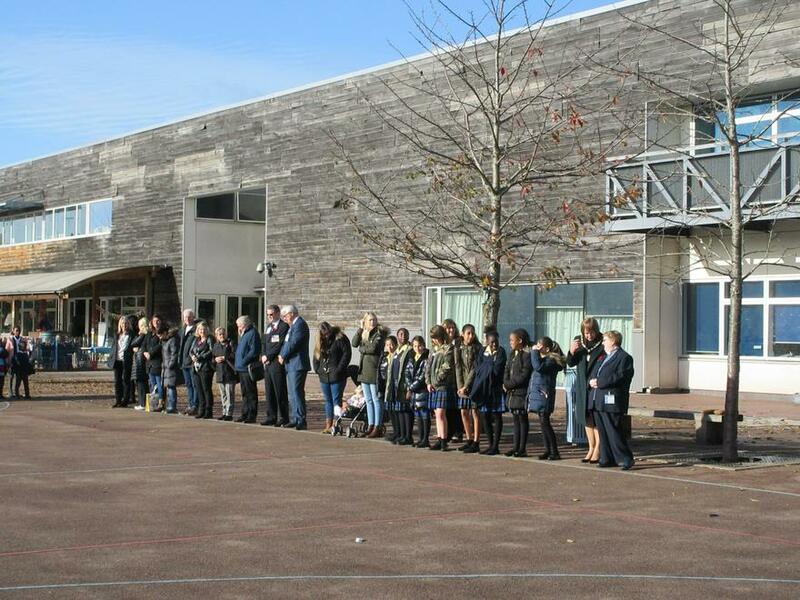 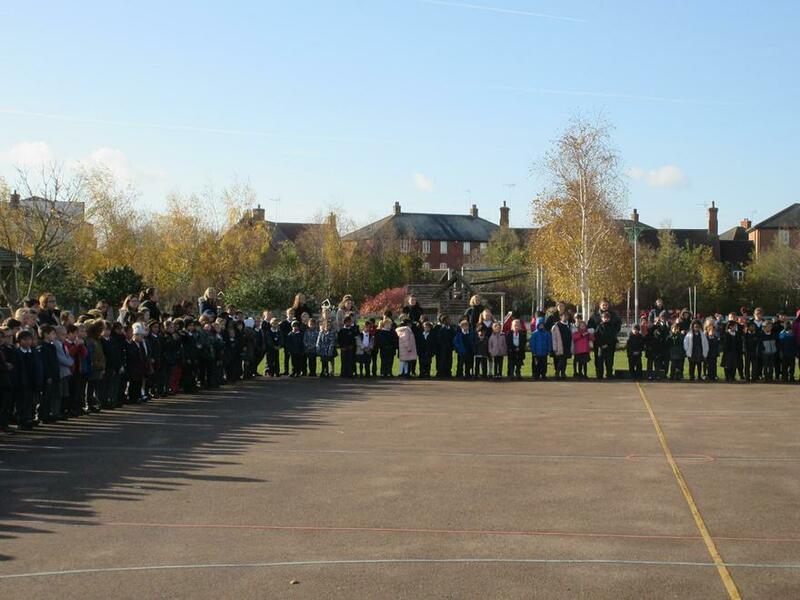 After the service, all children and staff were joined by members of the community on the playground for the two minute silence. 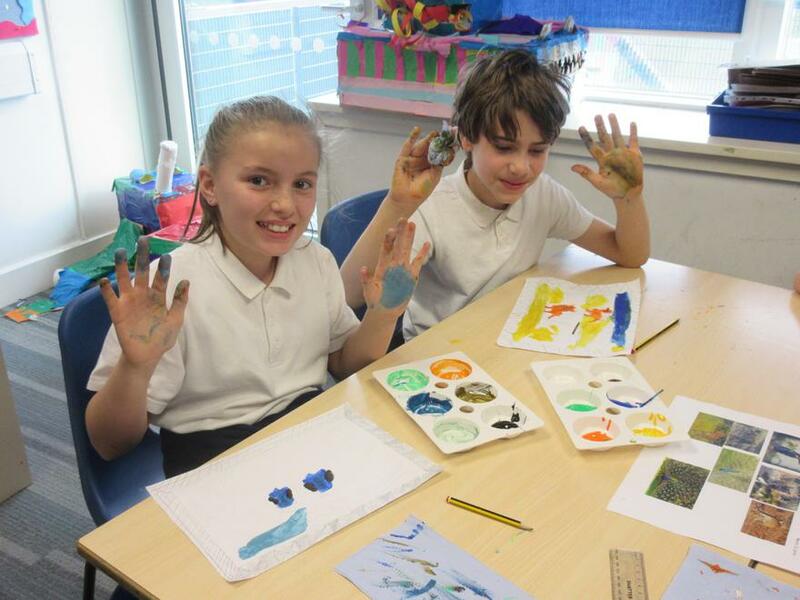 Year spent a wonderful day exploring their topic of Ancient Egypt. 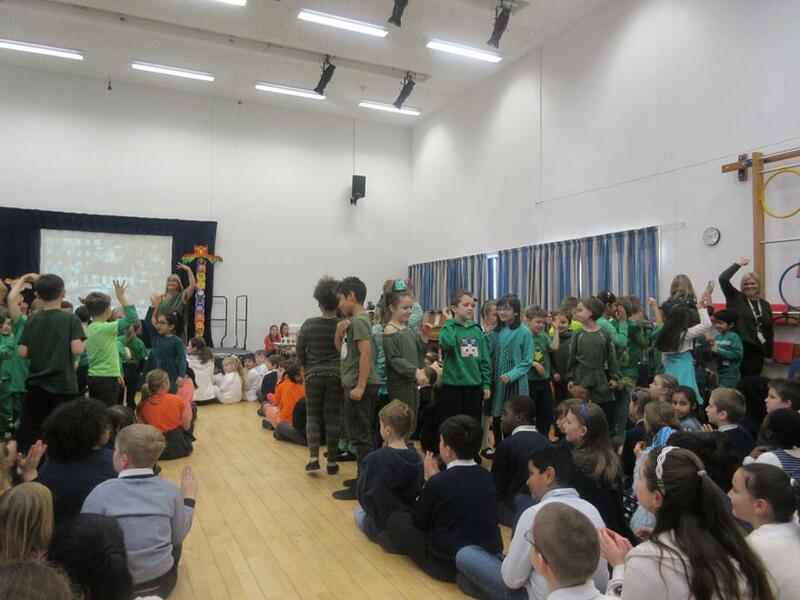 They took part in some Egyptian dancing and even learnt about Egyptian maths! 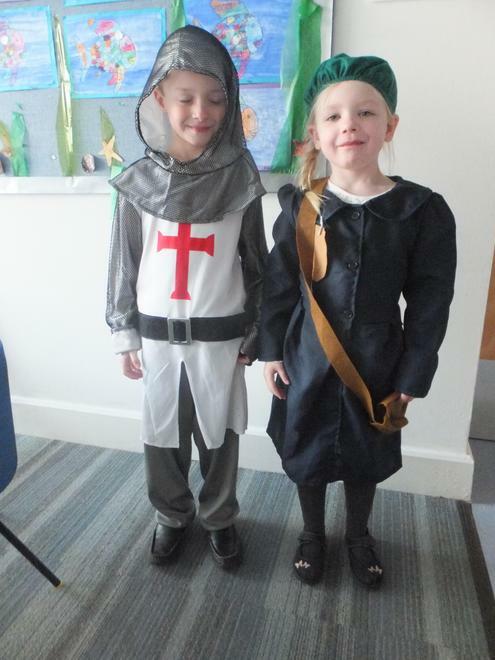 As part of the day they were able to look at real Egyptian artefacts. 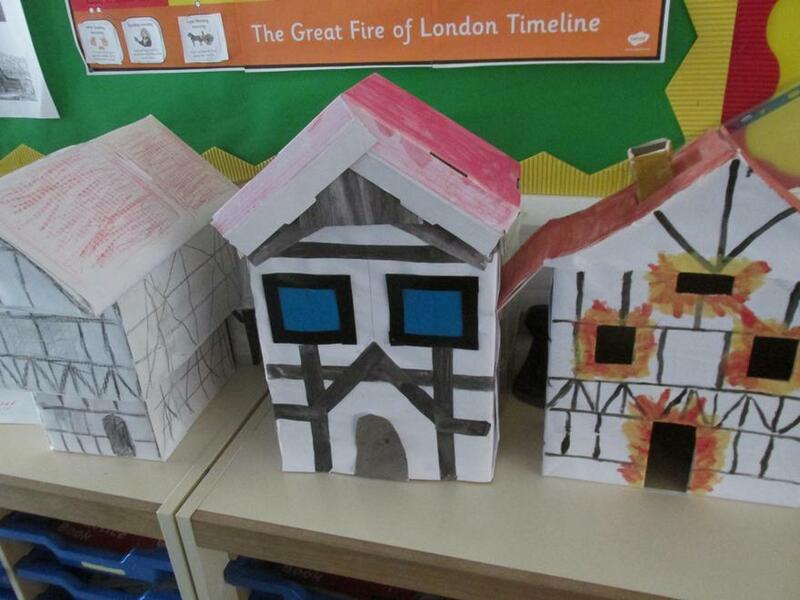 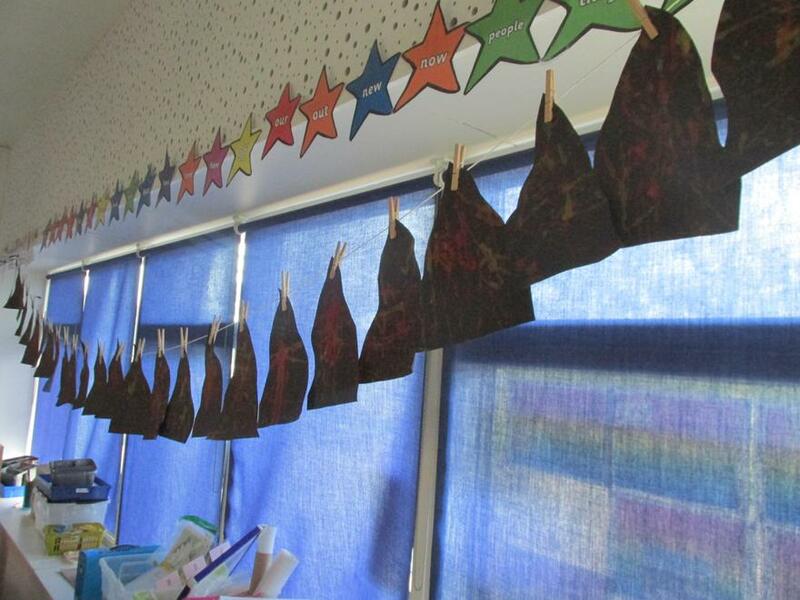 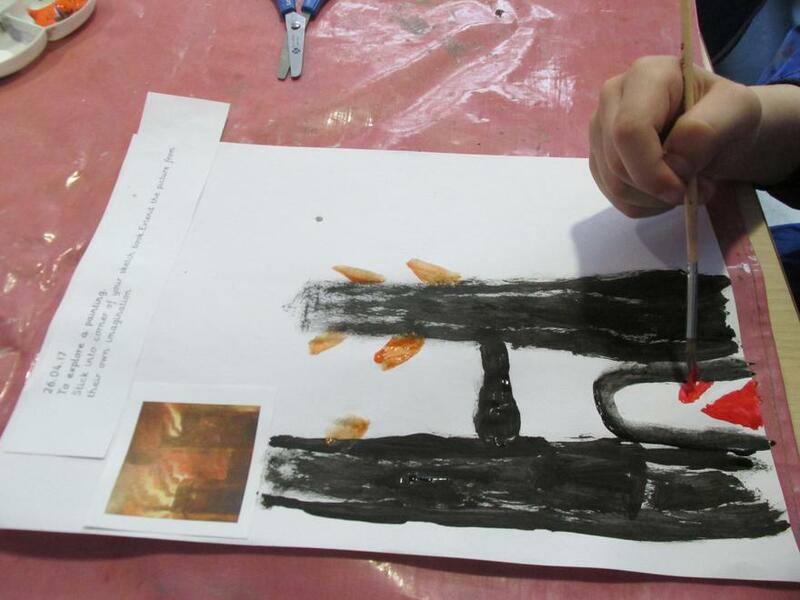 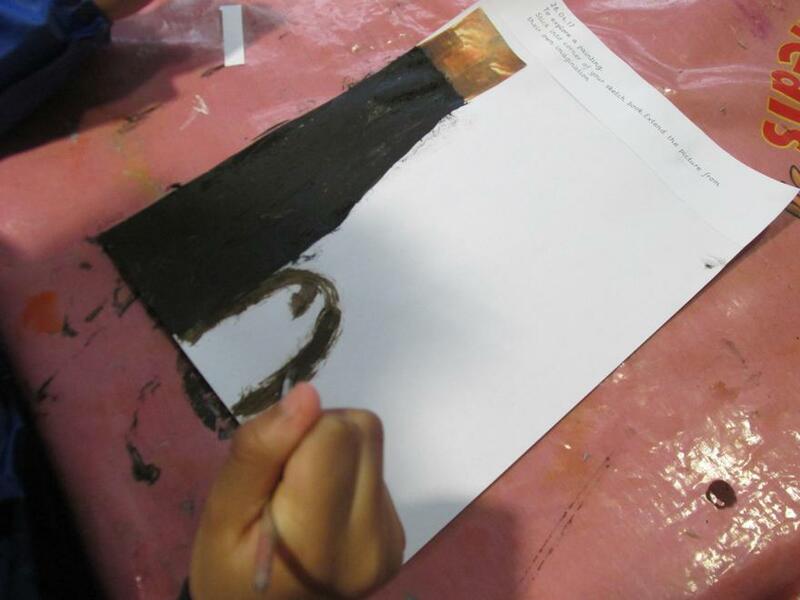 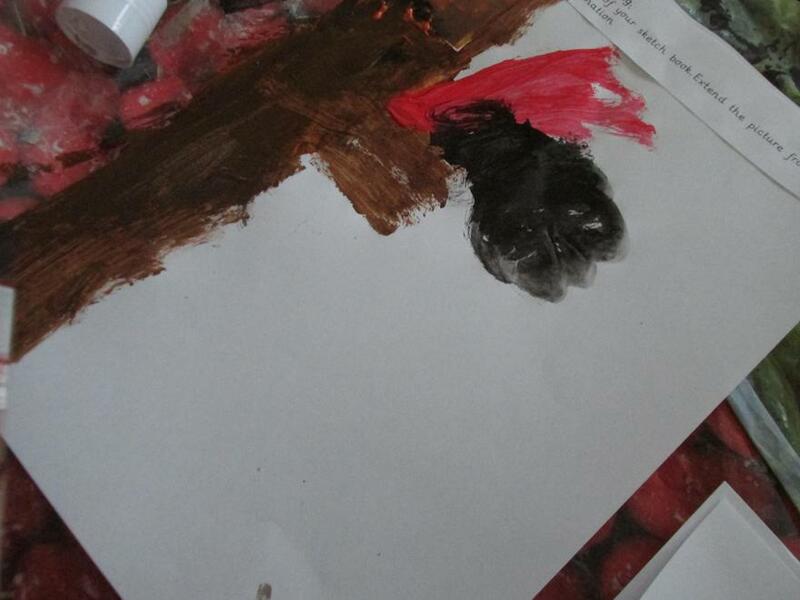 Year 2 have been learning all about the Great Fire of London. 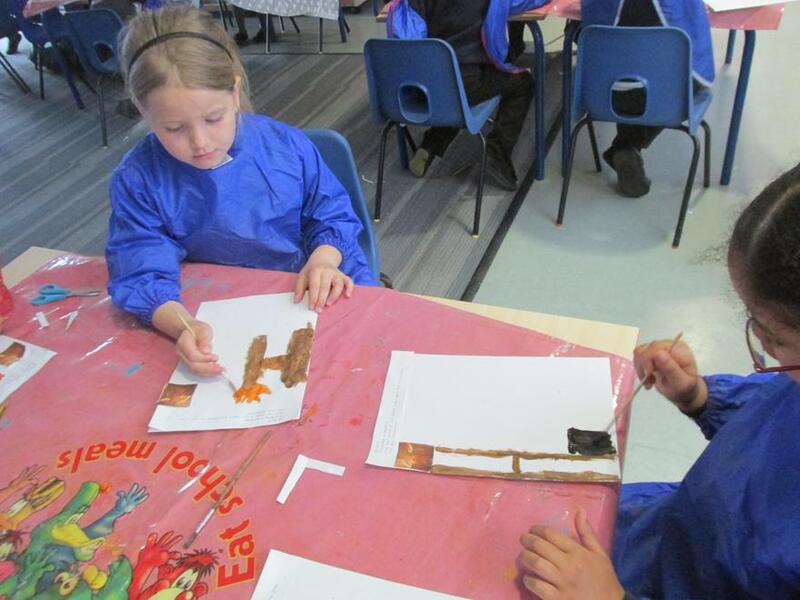 They made their own houses and then even had a visit from the Fire Brigade! 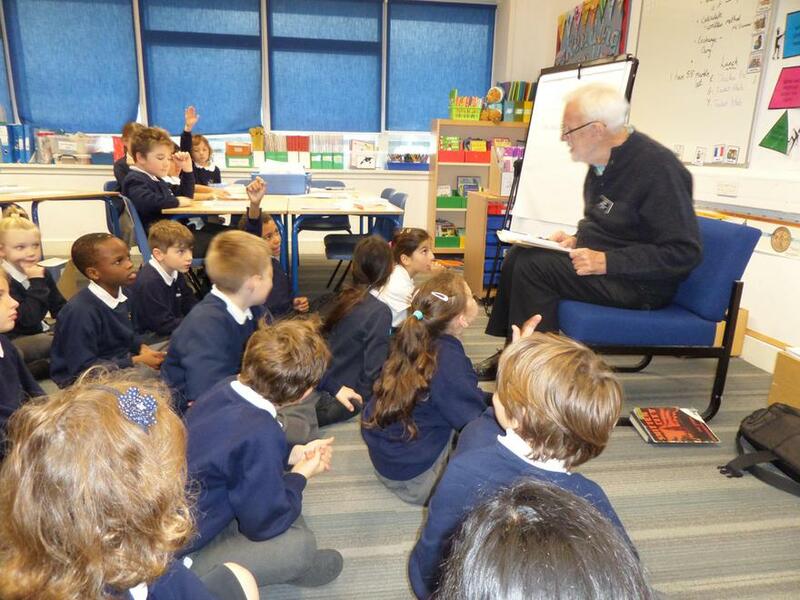 "Mr Dummer came in to Year 4 to talk about his first hand experiences of being a child in WW2( in Portsmouth). 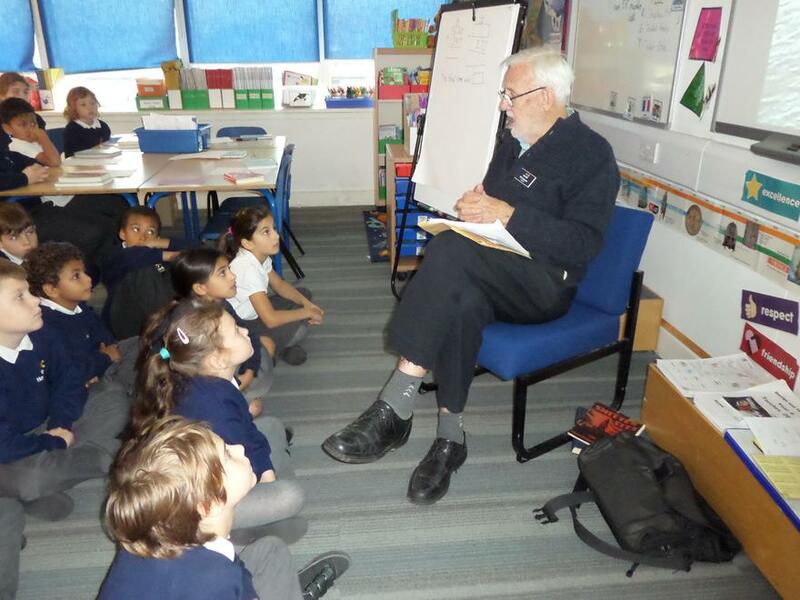 He told us about what it was like inside an Anderson Shelter and how he was evacuated to the New Forest for 3 months! " 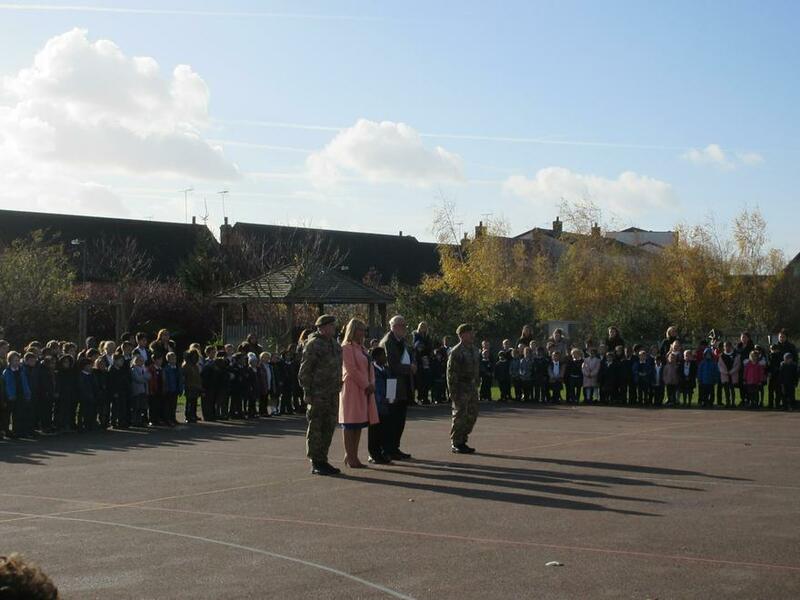 Howe Dell marked Remembrance Day this year with a whole school assembly welcoming members of the community and representatives from local cadet organisations. 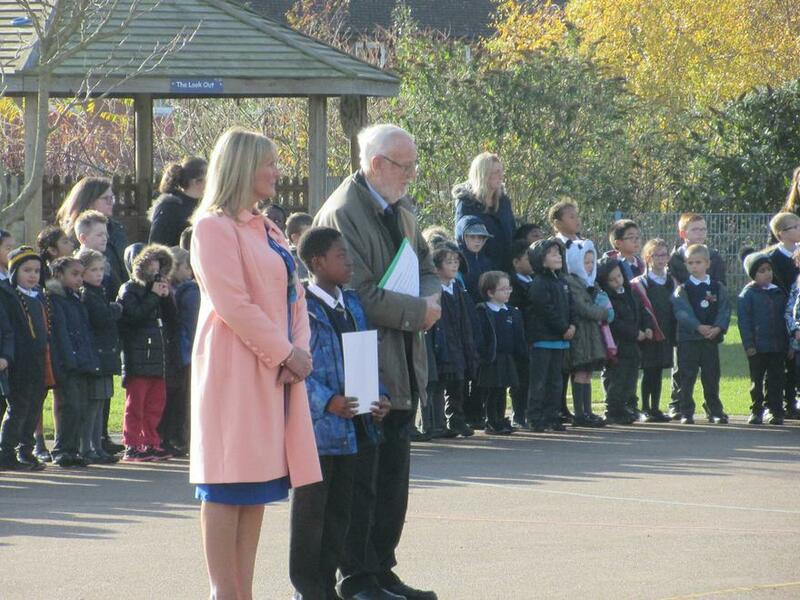 We then all marked this important occasion with two minutes of silence on the playground. 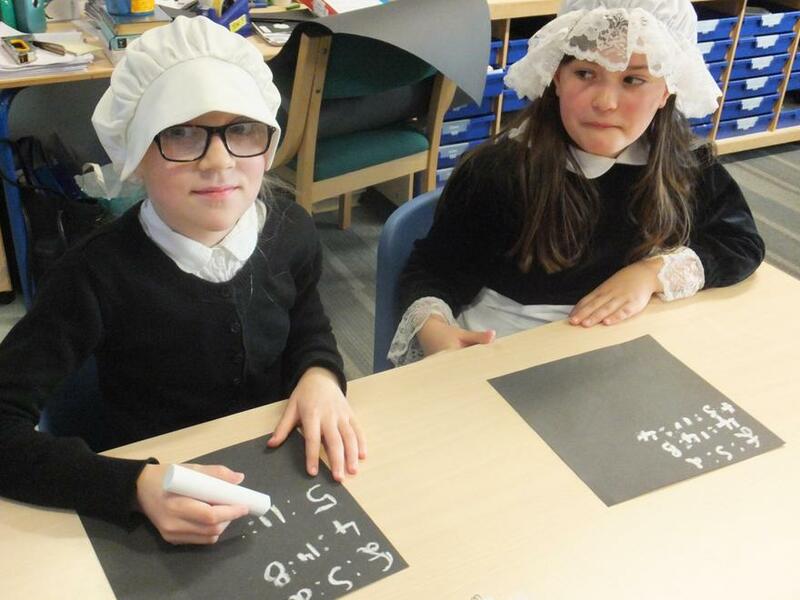 There was also an opportunity to carry out some pupil interviews, to gain more understanding of the children's ideas' about learning in History. 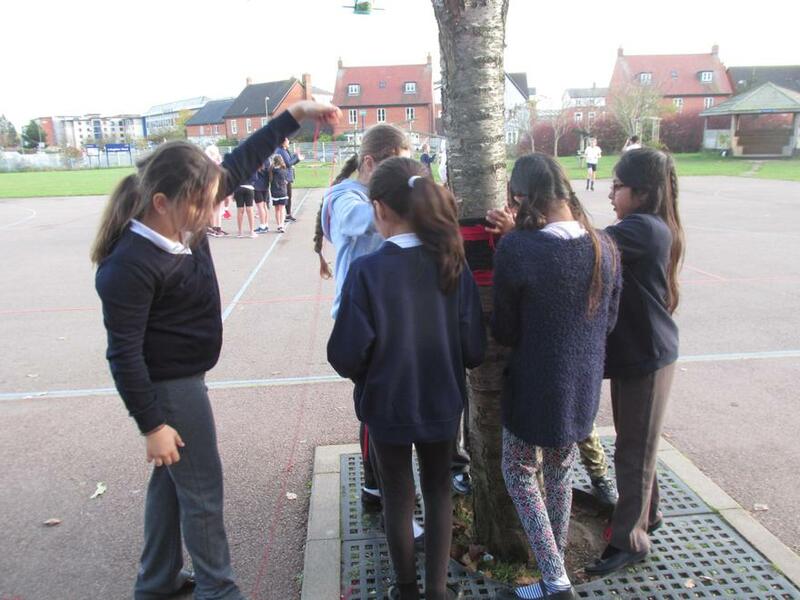 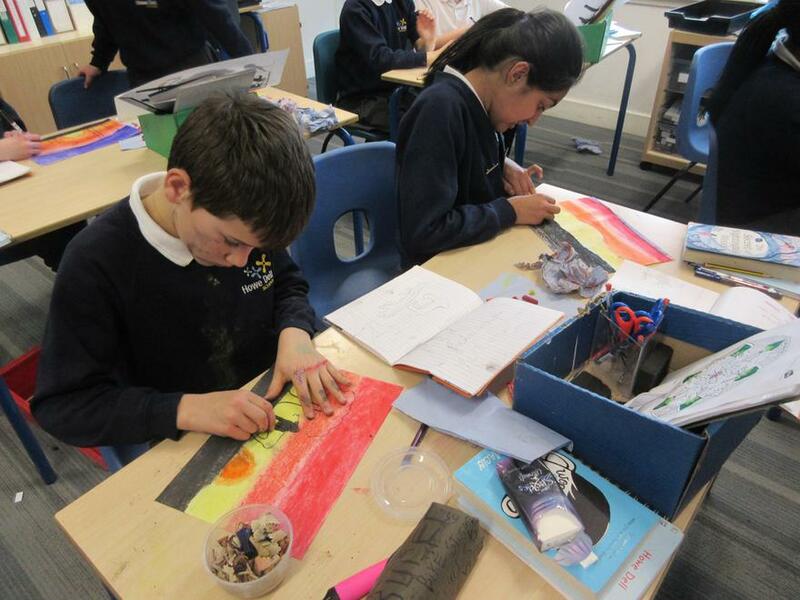 Year 5 - How can we find out about the past?